On March 26, 1964, Malcolm X and Martin Luther King Jr. met for the first and only time in Washington, D.C. Less than a year later, Malcolm was dead, the victim of an assassin’s bullet, ending any possibility of a permanent thaw between two of America’s most influential black leaders. Both men were born in the 1920s, sons of politically active preacher fathers. King grew up in a stable, relatively comfortable middle-class home in Georgia. His father was an NAACP organizer and leader, and King credited the loving atmosphere of his youth for his belief in non-violent, civil disobedience as the means to attack racial prejudice in America. Malcolm (born Malcolm Little), experienced poverty and violence at a young age. His father, a supporter of Marcus Garvey, died when Malcolm was a child, at the hands of what his family believed to be white nationalists. His mother was institutionalized several years later. Although highly intelligent, Malcolm dropped out of school and eventually drifted towards a life of crime. Arrested at the age of 21, he was introduced to the Nation of Islam while in prison. The group was also influenced by Garvey’s theories, and following his conversion and release from prison, Malcolm became one of the most prominent disciples of Elijah Muhammad, the group’s leader. King never responded to the invitation, and neither he nor other more moderate civil rights leaders attended the meeting. In response, Malcolm intensified his attacks on King, particularly over the March on Washington held just weeks later, and the bombing of a Birmingham, Alabama, church that killed four African-American girls that September. 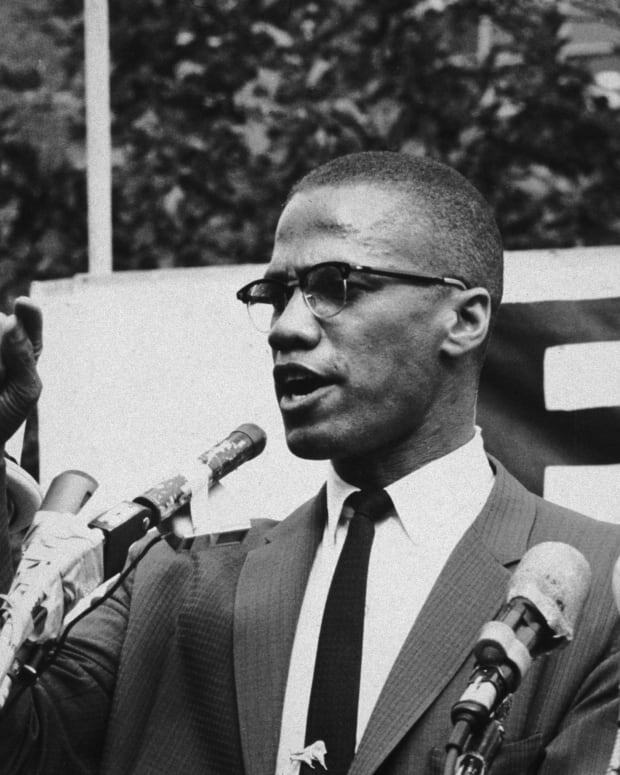 On March 8, 1964, disillusioned with Muhammad’s private life and angered over the group’s refusal to take a more active role in the fight for civil rights, Malcolm publicly broke up with the Nation of Islam. 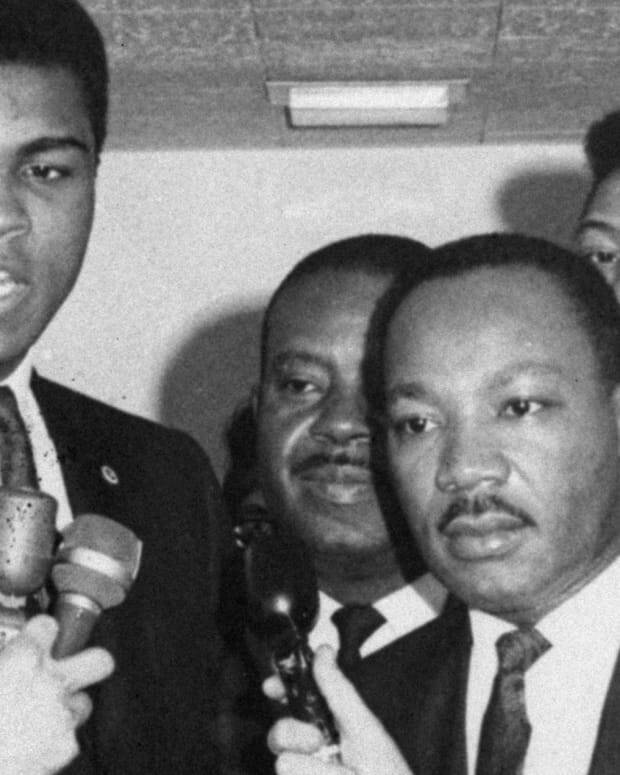 On March 25, King and Malcolm were both on Capitol Hill watching a Senate hearing regarding legislation aimed at ending segregation in public places and racial discrimination in employment. The bill had been proposed by President John F. Kennedy following intense lobbying by King and others and was being shepherded through Congress by President Lyndon Johnson, despite harsh opposition by many southern elected officials. As King was wrapping up a press conference, he was approached by Malcolm, and the two shook hands and exchanged greetings. 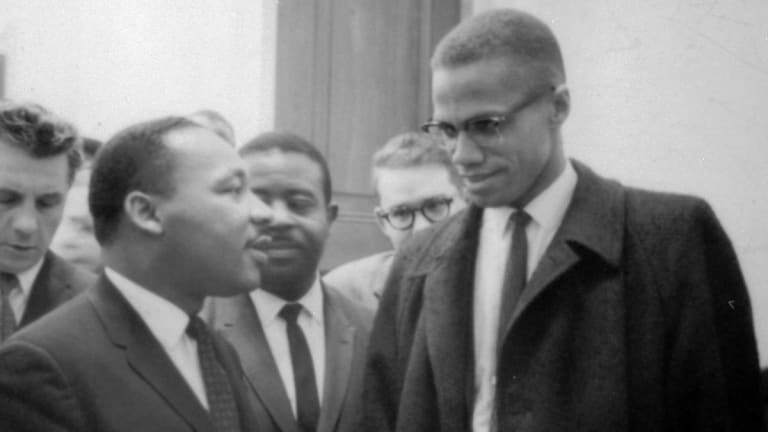 As cameras clicked away, Malcolm expressed his desire to become more active, saying, “I’m throwing myself into the heart of the civil rights struggle.” Then, just as quickly as it began, the brief meeting between the two legends was over. 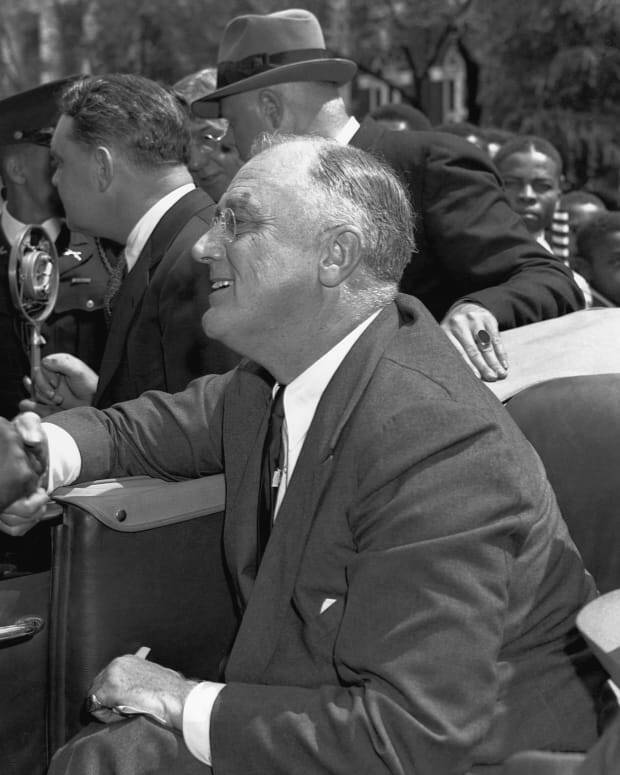 Four days later, opponents launched one of the longest filibusters in U.S. history to defeat the legislation, but it eventually passed and the Civil Rights Act of 1964 was signed into law on July 2. 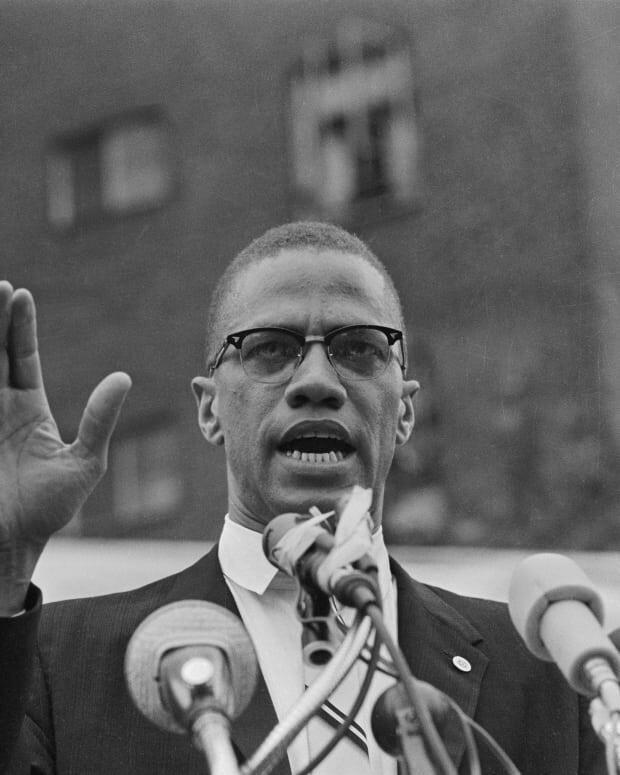 That April, Malcolm began an extensive visit to North Africa and the Middle East, which fundamentally shifted his thinking on the issue of race in America. While not entirely denouncing his earlier positions, he adopted a more conciliatory approach, writing, “I was no less angry than I had been, but at the same time the true brotherhood I had seen had influenced me to recognize that anger can blind human vision.” He went on to say, he believed “America is the first country… that can actually have a bloodless revolution.” Later that year, he founded the Organization of Afro-American Unity, a group that called for black self-determination and economic independence and to connect African-Americans with the African heritage. 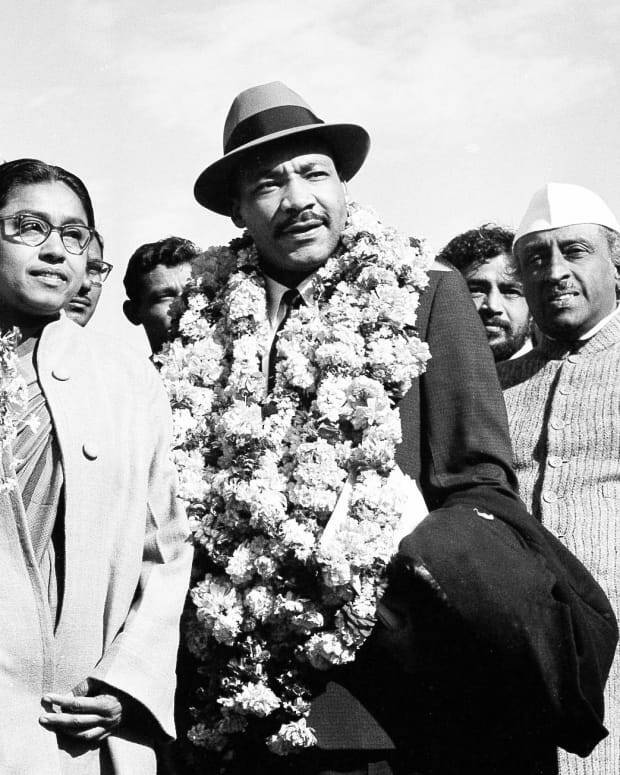 In February 1965, King and other civil rights leaders were in Selma, Alabama, leading a voting rights campaign. Malcolm traveled south to deliver a series of speeches. 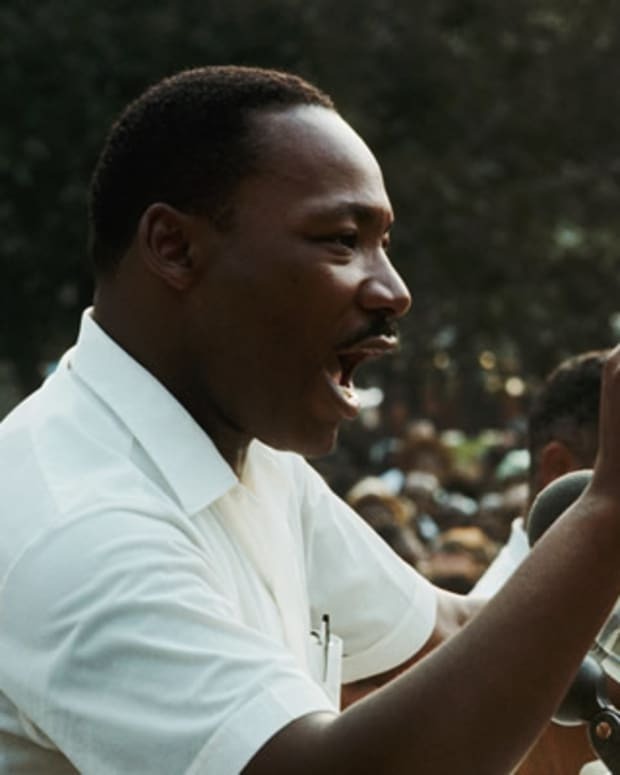 Although he continued to criticize King, he also met privately with Coretta Scott King, stating his desire to work more closely with the non-violent movement. He also noted that his attacks on King may have served a purpose, drawing the attention of white Americans towards his more radical beliefs and approach, making King and his moderate positions a more acceptable alternative. However, King and Malcolm X were unable to meet during his visit, as King and hundreds of others had been arrested days earlier while leading a protest march. In the subsequent years, King himself embraced what many saw as more radical positions. 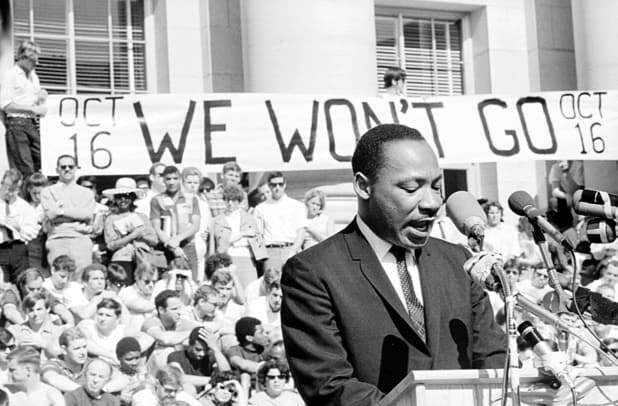 He became a vocal opponent of the Vietnam War, and the disproportionate effect it was having on African-Americans, fighting for another country’s freedom while still confronting racism at home. 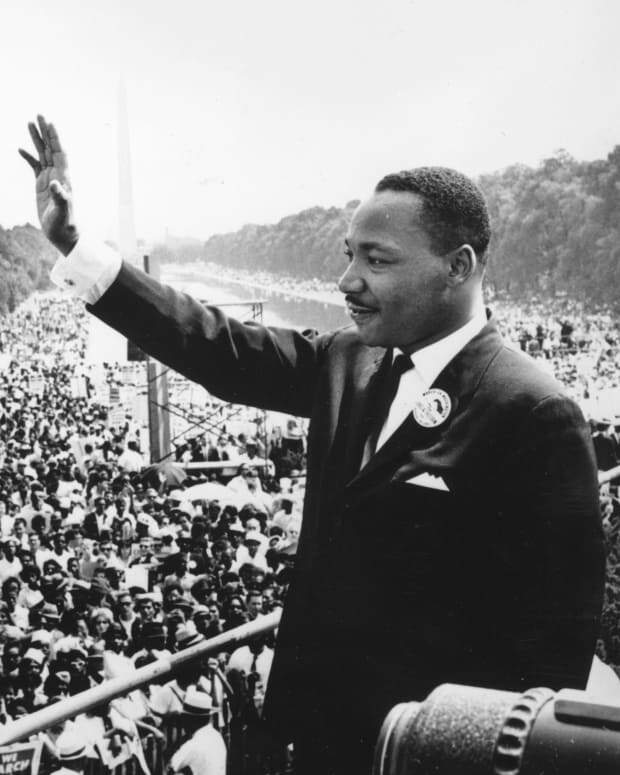 He turned his attention to the systemic issue of poverty, branching out his focus from the segregated south to the entire country, including a Poor People’s Campaign that was to culminate in another march on Washington in the summer of 1968. 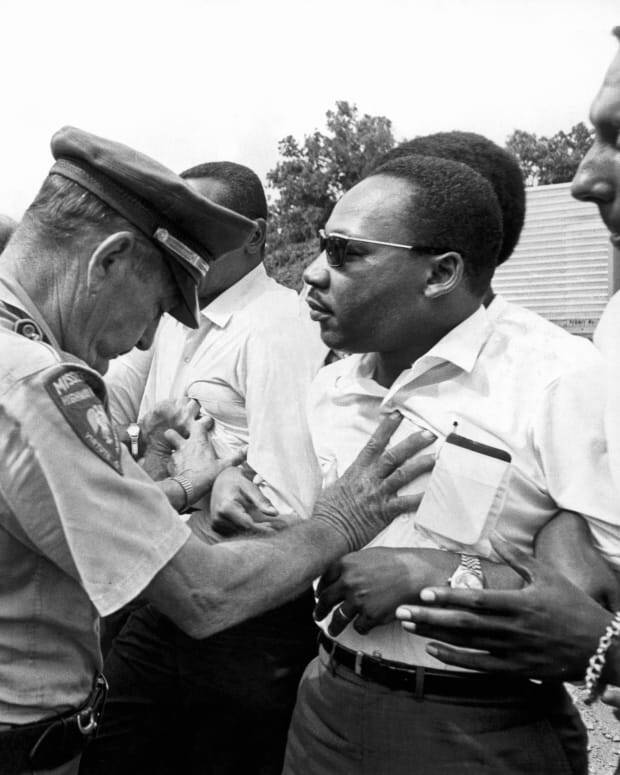 King’s more fiery approach unsettled some of his more moderate supporters and gained him new enemies among civil rights opponents, but, like Malcolm before him, it marked an evolution in King’s thinking. 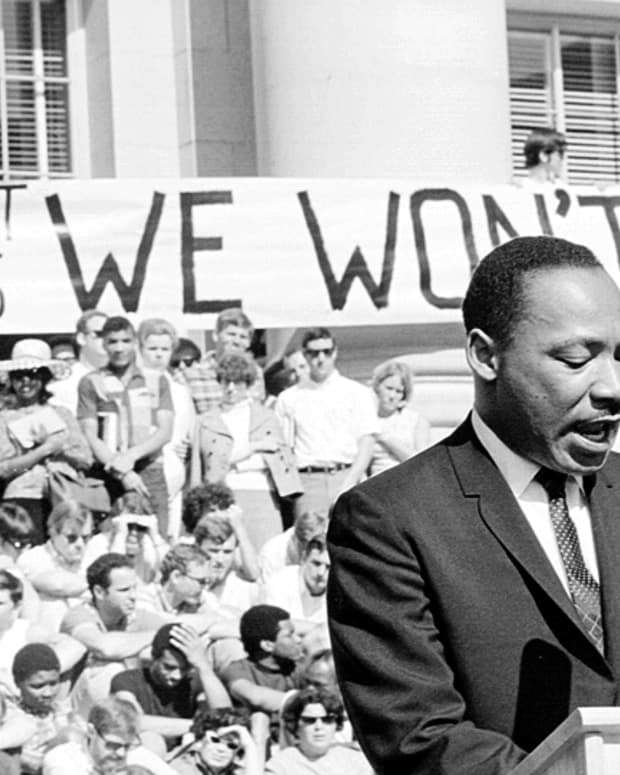 It was this campaign for economic justice that led King to Memphis, Tennessee, in April 1968, the scene of a strike by sanitation workers for better pay and equal opportunities. On April 4, he too was assassinated, also dead, aged 39.